It’s simple, if ever there was a time in the history of our country that we need to feel connected to each other, it’s now. Never before have so many felt so isolated as we learn to live in the digital age where we navigate ALONE. But we have found a place that actually brings people together – it’s the Center for the Creative Arts in Hockessin, Delaware. 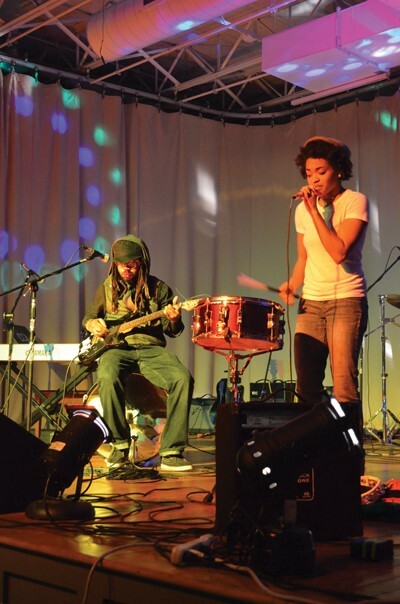 Last fall they started Yorklyn Live – Open Mic night and it has showcased the local talent of musicians, comedians and even puppeteers and brought a community of diverse people together. By fostering an environment of acceptance and trust, the Center for the Creative Arts has created something special where a performer can take the stage and take a risk to put it all out there without fear of judgement. In fact J Christian was one of the first performers to take the stage and help this event grow. While getting to know the Center for the Creative Arts, he learned that they feel passionate about the arts and want to make this an on-going community event that brings people together. Making it a source of pride for residents (participants and non-participants alike) in this community and increasing their sense of connection and trust. We know that the arts have been proven to improve health, mental well-being, cognitive functioning, creative ability and academic performance. What may be more important today is that the arts increase the scope of individuals’ social networks as we have seen at the Open Mic night. 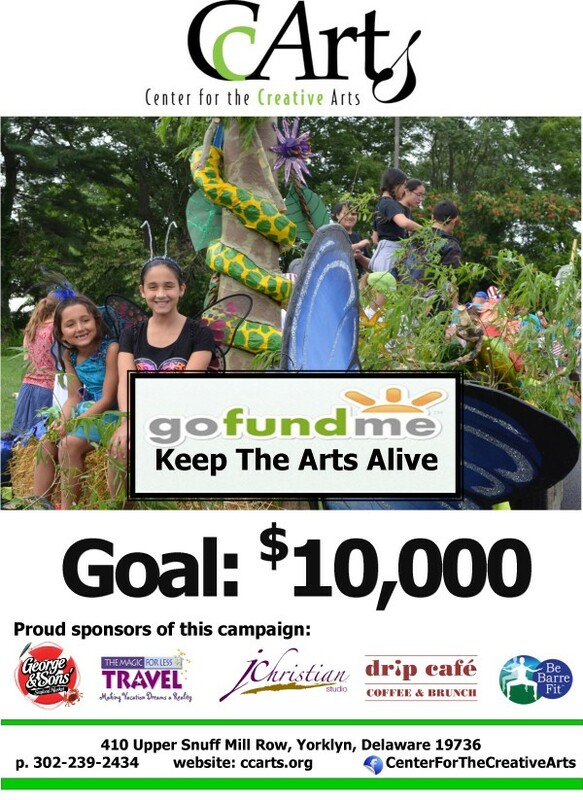 And although training in the arts is important, for us – the sponsors of this campaign, it’s about PRIDE, CONNECTIVITY, and THE HEALTH AND WELL-BEING of our community. 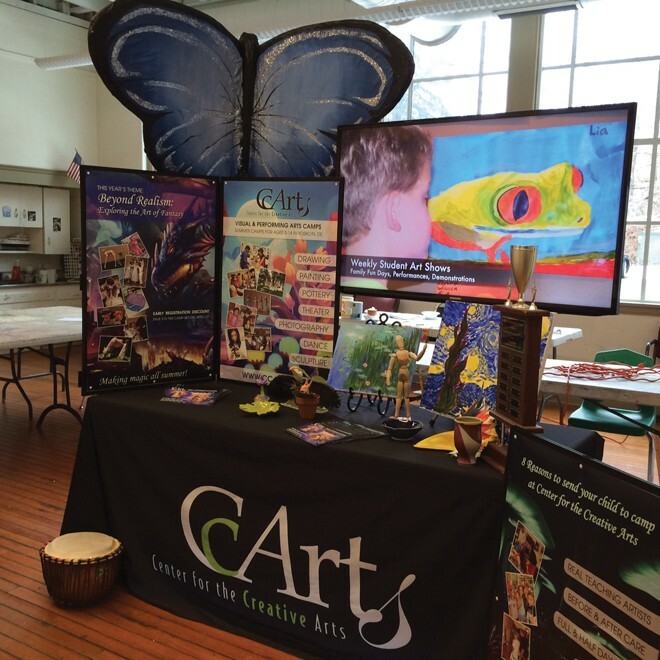 For over 37 years the Center for the Creative Arts (CCArts) in Hockessin has been devoted to art enrichment through education for people of all ages and abilities. Offering classes, workshops and exhibitions in the visual and performing arts, a summer arts camp for children, and numerous special events to showcase artists’ work. There is a buzz in town about their latest program which truly shows their creativity and passion for the arts. It’s called Yorklyn Live – an Open Mic Night. Held the third Thursday of the month, this event has featured a variety of local talent including soloists, musical groups, comedians and even puppeteers. Thanks to the generosity of a wonderful donor, CCArts now has an amazing sound and light system and transforms their auditorium into a stage and a café setting with drinks and food and candlelight. CCArts has kept the program free to allow the community to come out and enjoy it and just last month aver 95 people attended! In December 2014, the staff discovered a major case of embezzlement by their trusted Office Administrator. The amount of the theft was staggering with over 6 figures in losses. When most organizations would have been reeling and forced to close their doors, CCArts dug in and stepped it up. Board, staff and teachers doubled their commitment and worked even harder to keep things running and the organization was fortunate to have two generous donors provide emergency funds. As an organization, they have gone through a lot of change over the past year. Through it all, they have come out stronger with a renewed energy and deeper commitment of serving and connecting to our community through the arts.